Key Housing, a top-rated corporate housing service for the Los Angeles area, is proud to announce their February, 2015, featured apartment community: the Piero in Los Angeles. By selecting a featured apartment community in Los Angeles, Key Housing is helping those people looking for corporate housing to find quality rentals in what is one of the tightest apartment markets in the United States. The featured apartment community for January, 2015, is the Piero, just off Wilshire Blvd, Los Angeles, California. To browse the featured Los Angeles short term rental property. 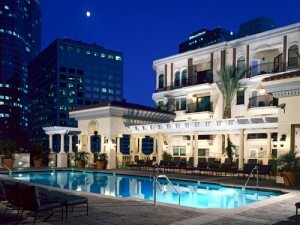 Browse available corporate rentals in Los Angeles . At both locations, one can easily browse a cornucopia of available short-term rentals for corporate renters available in the city of Angels. Located in Downtown Los Angeles, this apartment and its corporate rentals are right in the middle of everything that attracts people to the City of Angels. It is close to almost every major performing arts center that L.A. boasts (Walt Disney Concert Hall, Staples Center, Nokia Theater) as well as being near the Art and Fashion districts, and both USC and UCLA. Further cultural variety is provided by the near-by Chinatown, and Dodger Stadium. The Piero has units that range in size from studios to two-bedrooms, and of course has amenities such as both free Wi-Fi and wired Internet, but also perks such as soundproofed rooms and pillowtop beds. Guests can also enjoy deep soaking tubs and an outdoor pool; other standard amenities include kitchens with refrigerators and stovetops. When seeking Los Angeles corporate rentals, you will find everyone you are looking for at the Piero. Availabilities for corporate renters cannot be guaranteed; however, Key Housing has many other available short term rental opportunities in the hot Los Angeles and surrounding Southern California rental market. Interested parties are recommended to either use the website, or contact Key Housing directly for personal assistance. Based in Folsom, California, Key Housing Connections Inc. specializes in corporate housing and corporate rentals in large cities like Los Angeles, Los Angeles or Los Angeles as well as smaller cities like San Mateo, Pasadena and Walnut Creek. Key Housing is a leader in affordable, friendly, short-term and corporate housing rentals in places like Redwood City, Santa Monica, Newport Beach and just about every city in California. Whether it’s serviced apartments or a furnished rental, just search, click or call today! This entry was posted in Press Releases and tagged Corporate Rentals, Los Angeles on February 1, 2015 by Lee McDonald.